The presidents of Chile, Colombia, Mexico and Peru met today at ESO’s Paranal Observatory in the Atacama Desert of Chile, seeing first hand the state-of-the-art telescopes and technology of ESO’s flagship site. 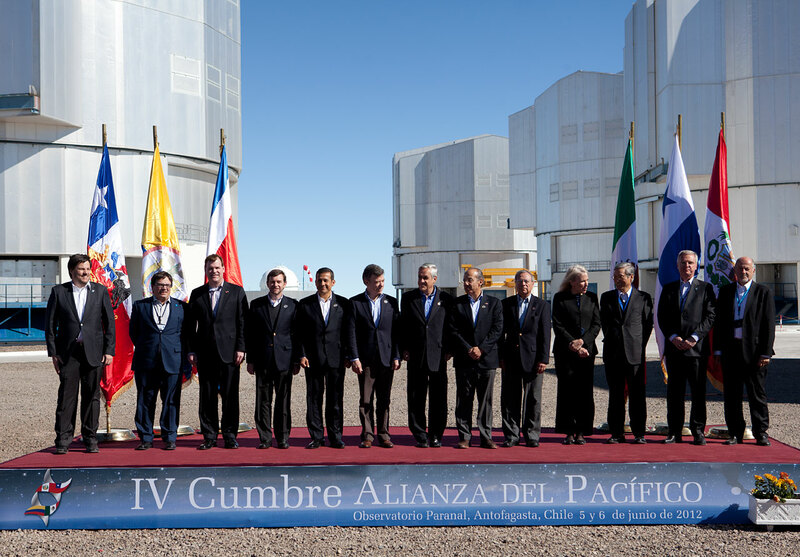 The presidents gathered at Paranal for the fourth Summit of the Pacific Alliance, at which the Alliance’s Framework Agreement was ratified. 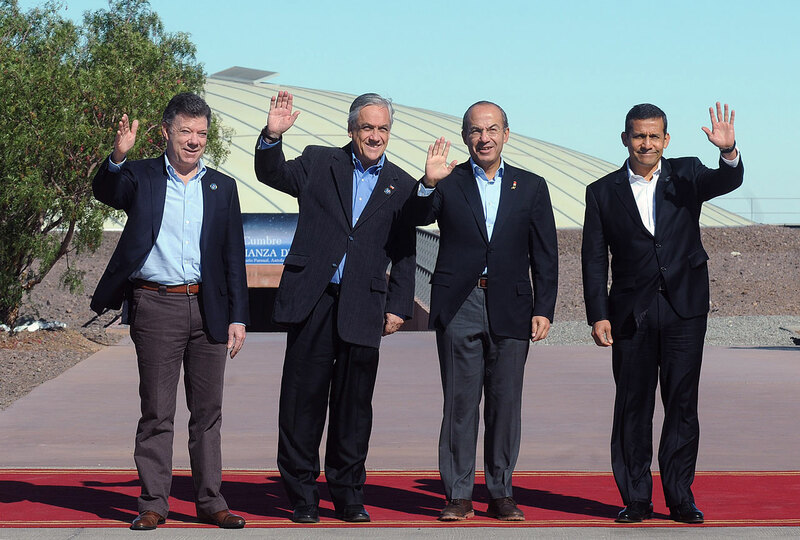 Today, Wednesday 6 June, Presidents Sebastián Piñera of Chile, Juan Manuel Santos of Colombia, Felipe Calderón of Mexico and Ollanta Humala of Peru met at ESO’s Paranal Observatory for the fourth Summit of the Pacific Alliance. José Enrique Castillo, Minister of Foreign Affairs of Costa Rica and Francisco Álvarez De Soto, Vice Minister of Foreign Affairs of Panama participated as observers. John Baird, Minister of Foreign Affairs of Canada, Hidenori Murakami, Japan’s Ambassador to Chile, and Virginia Greville, Australia’s Ambassador to Chile also attended as guests. 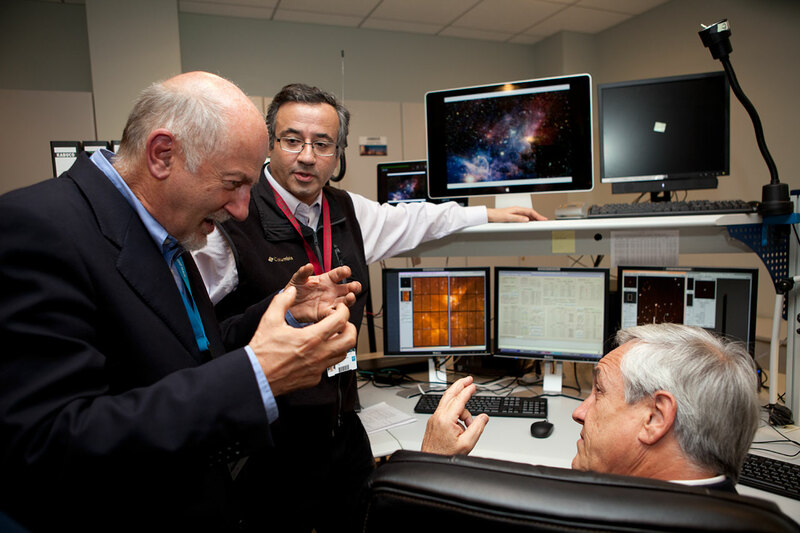 This is by far the largest visit of high-level representatives to any ESO site to date. 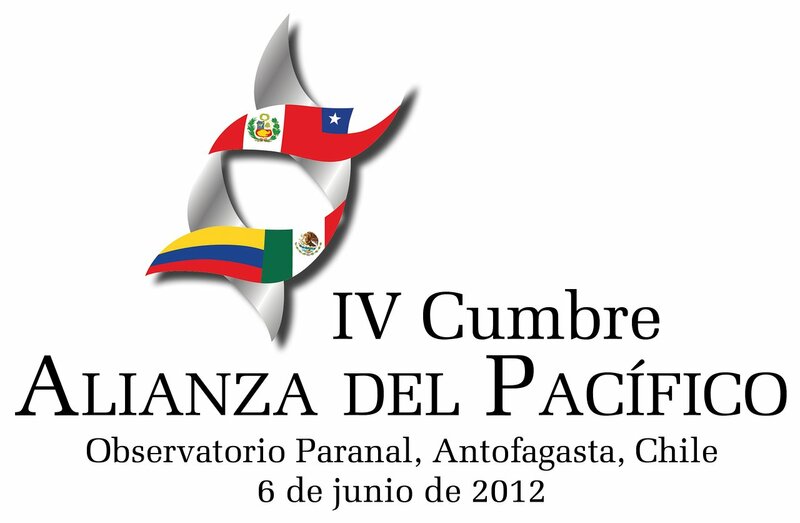 The purpose of the summit was to ratify the framework agreement of the Pacific Alliance. The Treaty formalises the Alliance between these Latin-American countries. Earlier this morning President Piñera officially welcomed his counterparts, Presidents Calderón, Humala and Santos to the Summit, accompanied by the President of the ESO Council, Xavier Barcons, the Director General of ESO, Tim de Zeeuw, ESO’s Representative in Chile, Massimo Tarenghi, and the Director of the Observatory, Andreas Kaufer. President Piñera is accompanied by his wife, Cecilia Morel, and President Calderón by his wife, Margarita Zavala. “It is a tremendous honour for ESO to receive such guests. We are very proud that Paranal has been chosen to host such an important summit for the region, and delighted to present our work to their Excellencies,” said the ESO Director General. After ratification of the treaty, the presidents had lunch together in the Paranal Residencia, where they were joined by His Majesty Juan Carlos, King of Spain, who is on a private visit to the observatory on his last day of a visit to Chile. Later in the day, the Director General of ESO will give the summit visitors an overview of ESO, after which the Chilean astronomer María Teresa Ruiz, winner of the 1997 National Exact Sciences Award, will introduce them to the wonders of astronomy before they start a tour of the observatory. 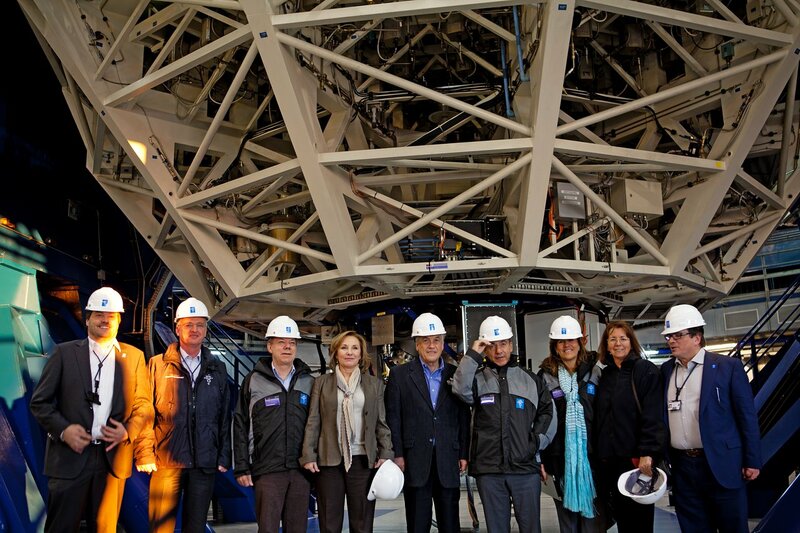 President Piñera arrived at Paranal yesterday to visit the observatory. 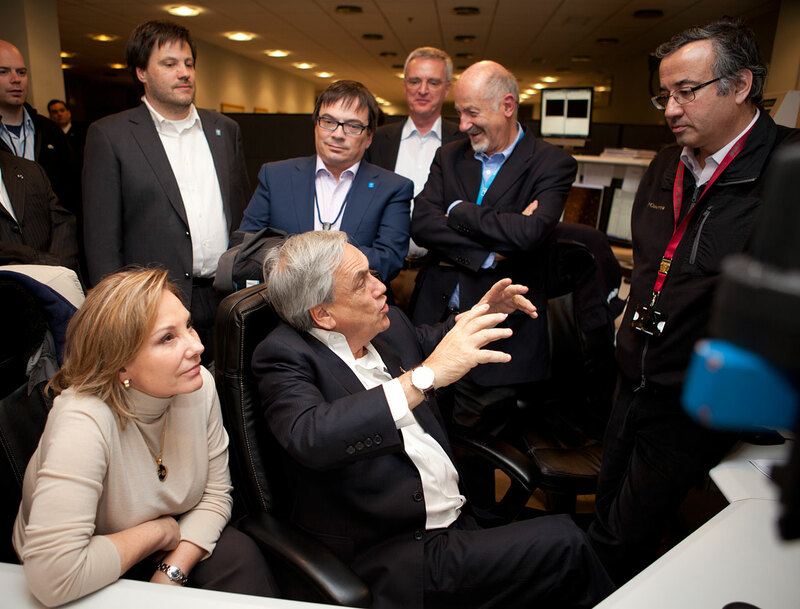 This is the third time an incumbent President of Chile has visited the observatory, since its official inauguration in 1999 by President Eduardo Frei Ruiz-Tagle, and the 2004 visit by President Ricardo Lagos. 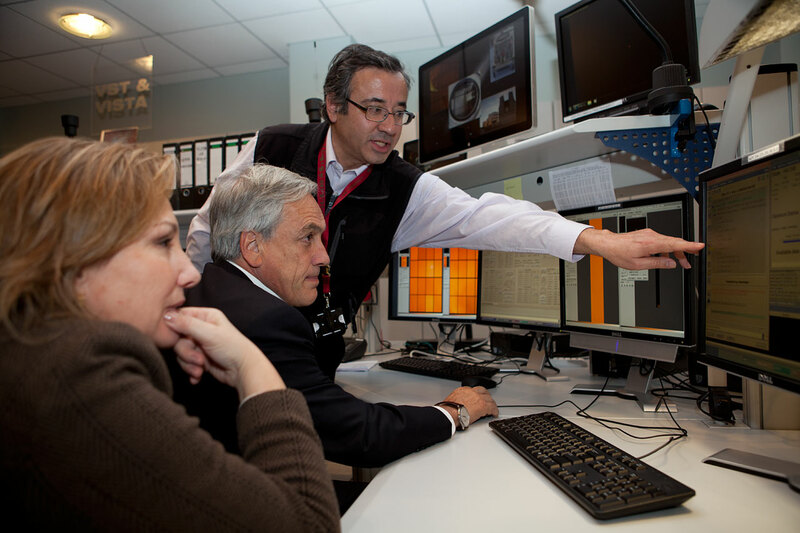 After an introduction to ESO’s work by the Director General, President Piñera met with ESO staff in the Residencia, and later experienced the atmosphere of observing with the most advanced visible-light telescope in the world from its control room, where he had the opportunity to actively engage with staff and help conduct observations with the VLT Survey Telescope. The Pacific Alliance’s aim is to promote regional integration and higher growth, development and competitiveness between the Member Countries of the Alliance, with the aim to move progressively towards the goal of achieving free movement of goods, services, capital and persons.